Fabrizio will be interviewed on DyHardRadio. May 20 - 2009 * MACBETH ON ILIKE! We finally have an official page on Facebook, where fans can interact, watch exclusive video content, upload their own pictures and much more. If you're already on the social networking site, simply click on the link and 'Become a Fan'. Feb. 25 - 2009 * MACBETH ON SKY NEWS ! 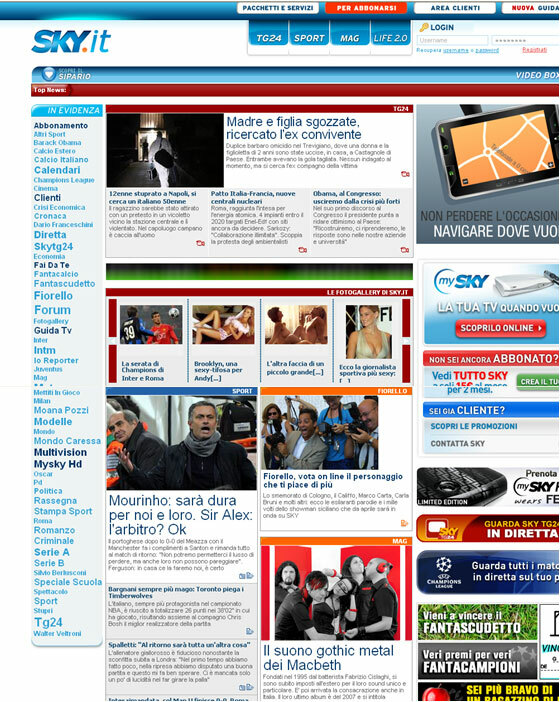 Sky.it, (SKY television website) features an article about Macbeth. In addition to the article, the site also features a photo gallery and band related links.Check it out! Fabrizio has released an interview to Sonic Cathedral. Jan. 12 - 2009 * NEW YEAR…NEW MERCHANDISE! Great brand new merchandise now available to be purchased. More items will be added to the store in the near future. Check out the store section and order now! Dec. 24 - 2008 * WORKING ON NEW MATERIAL! We've got a few ideas for the new record. We will be spending the first part the year to work on material for our upcoming new album. We’ll keep you updated so stay tuned! Dec. 18 - 2008 * METAL FEMALE VOICES FEST 6 - LIVE FOOTAGE! Morena has released an interview to Ravenheart music. The new issue of Ukrainian magazine Gothica includes an interview with the band. Don't forget to pick up the december issue #10! "Gothica" is the first and the only magazine in Ukraine about gothic. The October issue of italian magazine Metal Maniac features an article about Macbeth and the Halloween concert. Sep. 28 - 2008 * SPEND HALLOWEEN WITH MACBETH! 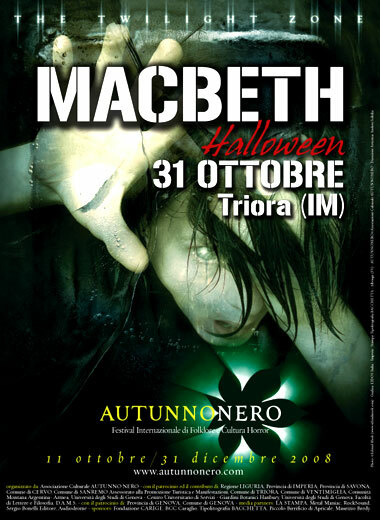 We're proud to announce we've been invited to perform at this year’s “AutunnoNero” horror festival in Triora (Imperia) – Italy. Triora is known as the town of witches and is surely a very suggestive place to spend Halloween.Click here for further informations. Sep. 10 - 2008 * MACBETH ON ROCK TV! The band will be appearing on RockTV (Sky channel 718) Monday September 15 at 2:00 p.m. CET. Macbeth USA is the new US based fan forum which is located at: http://macbethusa.ipbfree.com/ be sure to check it out. You can register and talk with other fans about Macbeth and other things! Macbeth are featured in the current issue of Mindkiller. Mindkiller #13 is available now. Morena appears on the cover of Gotica magazine (Mexico) so make sure you pick up the current issue (issue #25). The magazine includes a two page interview with Morena, Fabrizio and Andreas. We are pleased to announce that Macbeth have been confirmed for the Metal Female Voices Fest taking place in Wieze, Belgium. The band will perform on October 18th, 2008. Just back from UK! Thanks to everyone that attended the gigs to show their support.